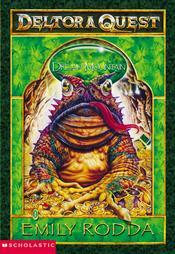 Dread Mountain by Emily Rodda - reviewed by Alex G.
Rated: 5 - "I think 7-12 year olds will like it!" This is the final book in the Harry Potter series. It is mainly about 3 wizards and Harry Potter trying to find and destroy the evil Lord Voldemort. There are magic spells and it is very interesting. I love the Harry Potter series a lot. Clarice is a girl who is always getting into trouble and does not get along with her teacher. She is trying to practice her spelling for a spelling bee and trying to get into the school play. It is a fun story. This book can be funny at times, but it's not my favourite book. 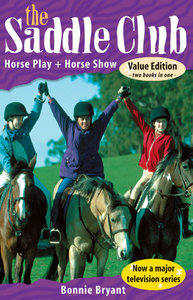 This book has two stories in it - 'Horse play' and 'Horse show'. In 'Horse play' Stevie, Carol and Lisa think their stable is going to be taken over by their worst enemy's father. They organise a riding display to make money to buy the stable. In 'Horse show' the girls get to go to a famous U.S. horse show in New York. They help a famous actor learn to ride a horse for his upcoming movie. Rated: 4.7 - "I love them! I love horses, the books are exciting and the girls get to solve problems!" - suitable for 7-12 year olds. It's about the Floods when they are at school. They have to travel halfway around the world to go to a school called Quicklime College for wizards and witches. It's funny and interesting because there are nine members of the family who are either wizards or witches. "I'm giving it 4.9999 - almost a 5 but not quite - because it is not the best book in the world." 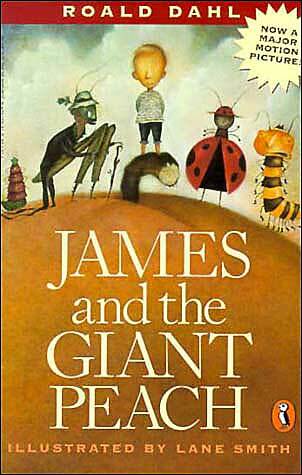 James and the Giant Peach by Roald Dahl - reviewed by Alex W.
Will is an orphan who has been raised in a castle. He has to choose a 'craft' and become an apprentice. He wants to be a knight but doesn't make it. Instead he is apprenticed to Halt who is a Ranger and is able to move around without being seen and use special weapons. He has to prepare for war and prevent the king from being killed. I like it because it is adventurous! Rated: 4 - "because there aren't many funny bits!" Laura Zany is the self-appointed friendship matchmaker at her school. She spends all her time helping others to find, make and keep friends and resolve disputes. But Laura avoids making friends herself (we find out why later in the book). When a new girl, Emily Wong, starts school and refuses her help, they decide to 'compete' to see who can find a friend for the most difficult kids in the school. It is a funny book and I enjoyed it. It deals with issues such as bullying and difference in the school yard in a humurous way. Rated: 5 - "I think Grades 4-6 will like this book." It's time to get creative again!